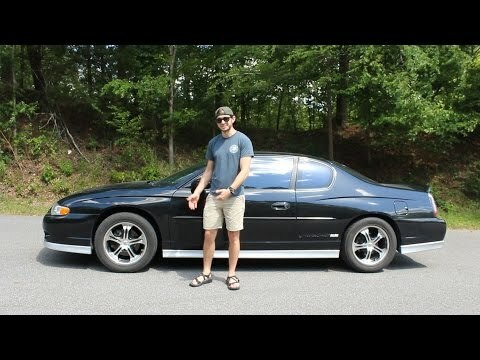 2002 Chevrolet monte Carlo. Garage find with very little mileage. Being a large car, it is very comfortable to drive. The only problems I have had so far are the blower motor went out and I needed a new starter. The car sat in a garage for 5+ years and at 10 years old only had 32k miles. I now have over 110, 000 miles and still running fine. The engine is underpowered for it is displacement by today's standard, but still has enough. As is normal for a front drive, it has some looseness in the front suspension. However it still rides and handles very well. Not my first choice, but sturdy. My car is a two door car - which I find very inconvenient. Additionally it does not seem to drive well in the winter. There have been many electrical problems inside and issues with the gas and exhaust as well. I do think the car is comfortable to drive in, as it feels very sturdy for a smaller car. Car versus car seats would be a great name for the title of my review. It's a great car other than having just two doors. If you have kids in car seats or that need help buckling it can be a bit of a challenge. It's a great running car. It gets up to speed quickly. The radio sounds great. So basically great car, just challenging with car seats and small kids.